Check out Episode 2 of the Aider & Abettor Podcast. 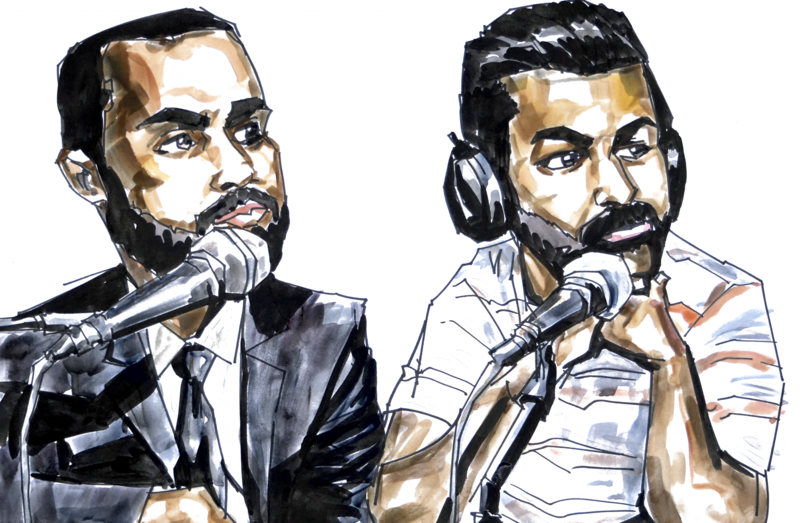 In the 2nd episode of Aider and Abettor, Sajid and Avi start with the “Opening Statement” where they discuss President Donald Trump’s Executive Order “Protecting the Nation from Foreign Terrorist Entry into the United States” commonly known as the #MuslimBan (0:30). They share their excitement and pride about the role of lawyers in the movement to counter this new policy and emphasize the need for self-care for activists working to effectuate change. In the “Deep Dive” segment, they break down another Executive Order by President Donald Trump, “Executive Order: Enhancing Public Safety in the Interior of the United States,” and the cross-section between the criminal justice system and immigration laws (14:40). They express concerns about the potential consequences of this policy to prioritize removal of non-citizens merely accused of crimes. They go on to talk about sanctuary cities and the the interaction, or lack thereof, between states and the federal government in the enforcement of immigration laws. Sajid and Avi finish up with their “Thing(s)” of the week (34:50). Sajid shares a courtroom experience from last week that reminded him of a silver lining to an otherwise haunting election day: the passage of Prop 57 which took the power to charge minors as adults away from California DAs. Avi recounts his brush with the late Supreme Court Justice Antonin Scalia in an airport. They finish up making their Super Bowl picks between the Patriots and Falcons. You can email us at aiderandabettor@gmail.com. You can also find the podcast in iTunes, Stitcher, and PocketCasts.